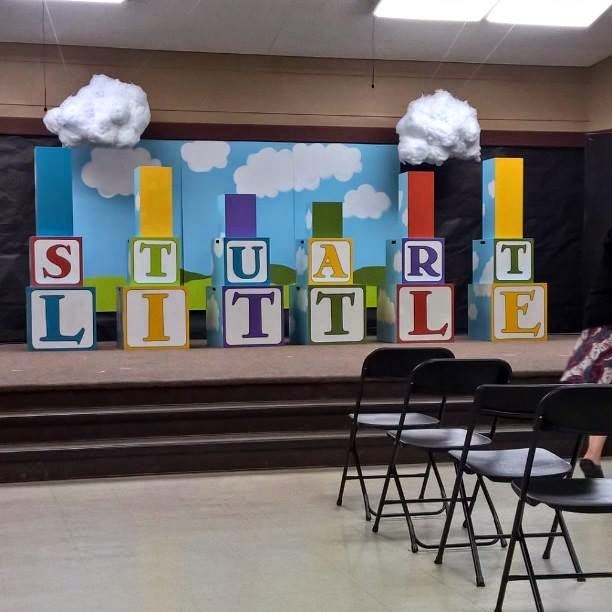 Stuart Little opens to rave reviews! 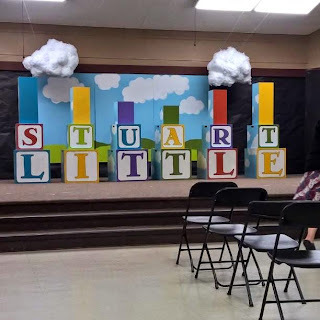 The 6th grade play, Stuart Little, was widely hailed as entertaining and well-played. Special thanks to Dondi Hubley, our talented director. This performance was cute, entertaining and very well done. Great job, 6th graders! Overall, we raised $558.98 for our Student Council funds to continue providing some fun opportunities and service to our school. Present: Kimberley Wormley, Brian Olson, Terri Marshall, Mike Berger, Melinda Keller, Kurt Rightmyer, Altee Vigil, Erica Stewart, Shawna Thomson (mom of incoming 6th grader), and Robyn O’Leary (arrived at 8:54, during discussion of Catalina letter). Kimberley celebrated the continued success of Girls Who Code at Teach. There was discussion of Bike to School Day; among items mentioned is the fact that Teach is a magnet school so many Teach families live in other communities or across town. Next year the Boosters will think about the unique constraints of Teach and perhaps move to a Bike Around School Day. There was discussion of the timing of next year’s pledge requests. In terms of when to put out the “recommended pledge amount” information sheet, wait until after we total the amount raised by Casino Night/Derby Days. There was discussion of the chaperone letter, which the Boosters have asked the teachers to have a look at, so that language can be crafted (i.e. the wording “can’t be a chaperone unless you sponsor a child” is confusing: some thought this meant an additional child beyond your own). Another question was since the pledge amount/scholarship amount is strictly voluntary and confidential, should chaperones have to pay their way? There was discussion of making the guidelines clear. It is the understanding of the Boosters that teachers want discretion to select parents who will be good leaders of the entire group, not just supervise their own child. The general feeling among those present at this meeting was that teachers should be trusted to make the selection, as long as this is clear to parents ahead of time (in the past, parents were led to believe that names were picked out of a hat). The Catalina letter was then discussed. There was discussion of what to do if a parent was selected but could not afford to pay their own way. Consensus was that the ultimate goal is for children to have a valuable educational experience. Children with special needs who needed their parent to accompany them were one exception to the currently stated guidelines, and were a possible exception to a parent not being financially able to pay their way but needing to accompany their child on the trip. Melinda Keller, Assemblies Chair, reported that the final assembly is scheduled for today. She will perform this function again next year, and the Boosters are greatly appreciative. Kimberley moved to accept the minutes from the April Boosters meeting as amended; Robyn seconded the motion with all in favor, none opposed or abstaining. Brian then gave the Treasurer’s report: we have about $12,000 less than what was pledged, and there is still one major fundraiser to go (Casino night). We are at a break-even point in our finances. 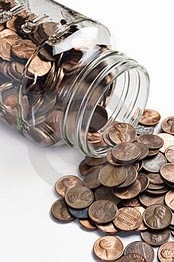 Some of the funds that we have received are earmarked to be spent in particular ways (ex: garden grant). Brian would feel much better if we could collect at least half of the $12K shortfall. Kimberley has already sent emails asking for people who made pledges to follow through with their last installments. Kimberley said that she had the conversations with both parents who had not declared their pledge status, and with parents who came later in the year (whose children may have even missed the study trip). The effort to help families make their 2014-15 pledges has been completed for 2014-15. There was discussion of having people like Shawna Thomson and Lena (?) take over the bookkeeping functions that are now done by our hired bookkeeper, with the general feeling being that having an impartial bookkeeper take care of the books was a layer of protection for the board in terms of making sure that checks and balances were in place. Brian pointed out that we are doing well financially because we have been overachieving in all our fundraisers so far this year. Note for Next year’s Teach Tiger Kick It Games: make sure the “brand” is consistent; it appeared under many different names, which may have confused families. Brian Olson said that teachers told him that only about half of their students brought in $$ through Kick It this year, so if we increased this participation, it would be even more successful and could perhaps render a fundraiser that comes late in the year (for example, if we scheduled Genevieve’s for April/May and Kick It was spectacularly successful, we might be able to do away with Genevieve’s). Brian said that we are within a fraction of a percent of what we budgeted for the year. Altee Vigil and Erica Stewart spoke about the upcoming Casino Night. They have enough live auction items but need silent auction items. They also need pop ups, outdoor heaters, lights for stringing outside, wineries who might donate wine or pour wine during the function and help setting up and cleaning up. CeRae will help get these needs out via Sign-Up Genius. There were a few more items to celebrate: the new sound system is now in place as of yesterday just in time for the 6th grade play. James McMillen has requested that if possible, the Boosters consider paying for part of this. If funds were “left over” at the end of this year, perhaps we can do this, but there was no decision made on this issue. 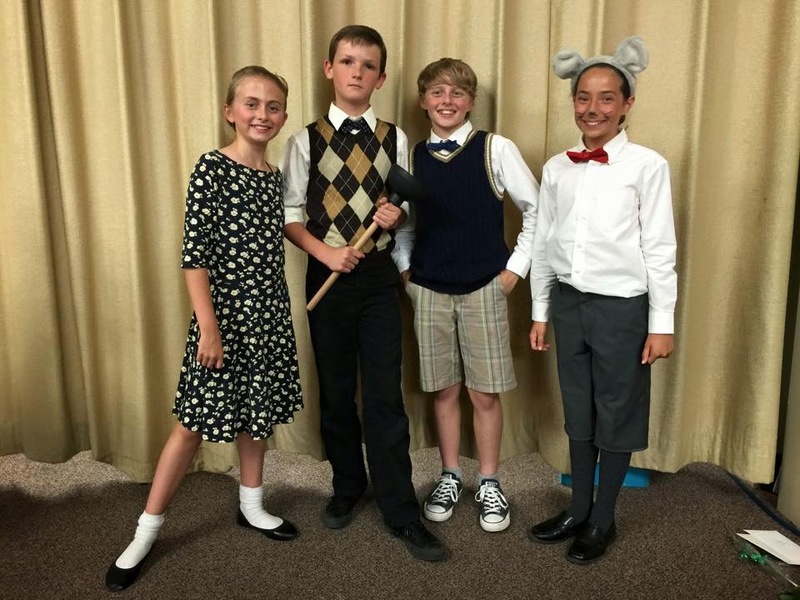 For the 6th grade play, two students who have been videoing rehearsals who will also video the performance. In terms of positions on the board for next year, Melinda nominated Kimberley Wormley as President, Terrie nominated Laura Coper as secretary with voting rights, Laura nominated CeRae Speidel for VP, Kim nominated Brian Olson for Treasurer, CeRae nominated Terrie Marshall as Booster at large board member with voting rights, Terrie nominated Robyn O’Leary as member at large with voting rights. Laura nominated James McMillen as staff rep. Altee nominated Erica Stewart for volunteer coordinator. Kurt nominated Robyn O’Leary for Electives chair (she will bring Erin Gifford along also). Kim nominated Lena (?) as 4th grade rep, Kimberley nominated Shawna Thomson to co-chair Derby Days (Shawna Thomson 441-8939, sthomson20@sbcglobal.net). Brian moved to close the meeting, Melinda seconded the motion with all in favor, none opposed or abstaining.